I n the latest Fox News Poll Herman Cain has surged to the number one position, and he is even starting to edge in front of the GOP’s favorite son Mitt Romney in Iowa. Now just a few weeks ago, this scenario would have been inconceivable to almost everyone…except maybe Herman. There are many things that fascinate me about the Cain phenomena. He is frank, clear on his positions, firm in his refusal to take cheap shots at his opponents, and an electrifying speaker. He is fresh, non-political, and genuinely honest about areas in which he will need to develop his expertise. As refreshing as all this is however, it is his “belief” in the possible that is most fascinating. 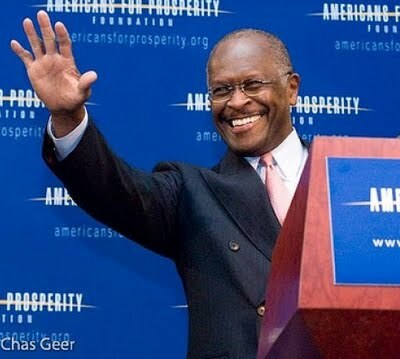 Herman Cain truly believes that he can be President of the United States of America! Even though the odds have been strongly stacked against him, he has remained steadfastly in the fight, winking wryly at all his detractors. He has a vision for this nation and truly believes that he can beat the odds and win! Now some people may confuse this belief with ego. Yes…I am sure Mr. Cain is an extremely confident person and requires little self-esteem counseling, but what we see in him is not the typical self-promoting narcissism of the average politician. To the contrary, it is a genuine, almost selfless, belief in America. When I look at the other candidates I am overwhelmed with the impression that they feel that they “should” be President. 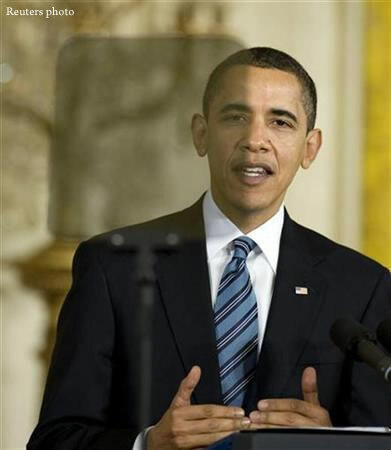 When I listen to Romney I hear a smoothly polished politician who sees the White House as his next achievement. It is almost as if he is more focused on the office than the objective. To the contrary, when I look at Cain I see a certain innocent, yet determined, optimism that I have not seen since Ronald Reagan. It is an optimism unblemished by years of political gamesmanship and compromise. It is the look of someone who sees the Presidency as the means…not the ends. He is not being driven by an office, but by a vision for America – and it is powerful. Like Reagan, Cain believes in the boundless potential of our nation and its people, and this is what is driving him forward against the odds. He is not bound by the limitations and labels that others have placed upon him, and the American people are taking notice by the millions. 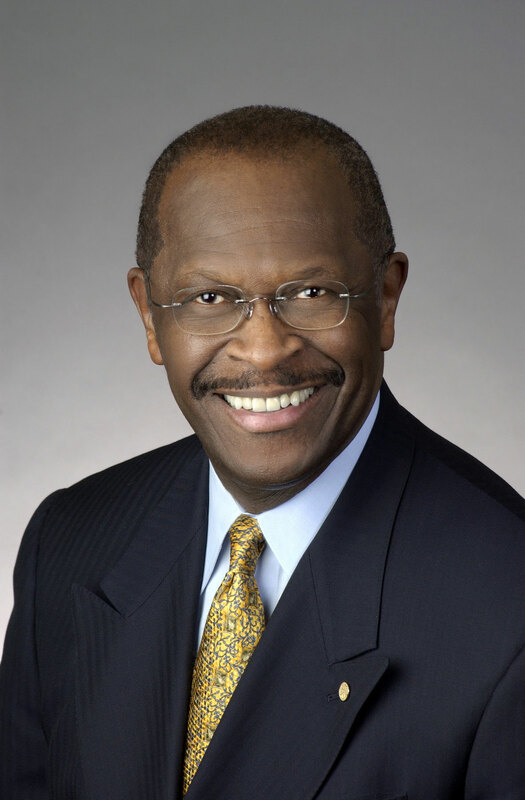 Make no mistake, Herman Cain is not surging in the polls because he is perfect. He is rising is the polls because he truly believes in what “we the people” can do..not the government, and this belief is giving Americans a new type of hope – hope in themselves. HM: So, how exactly did having a Paul McCartney concert at the White House help stop the oil spill? Source: Well the concert alone didn’t do anything, but it was an important first step. HM: (curiously) A first step for what? Source: (rolling eyes) Well reuniting the Beatles of course? They are one of Obama’s favorite groups. He really likes the short funny one – Dingo. Source: (waving hand) Hey, I ‘m not going to get into any political name calling here…this is a crisis. HM: (confused) So how in the world is reuniting The Beatles going stop the oil spill? Source: Well it is a complex plan but, if Obama can get them all back together, he is hoping that they will take him down to the broken pipe in their yellow submarine. If they can get him down there, he might be able to stop the spill. HM: (in disbelief) Are you being serious? Source: Most certainly. It is the only viable solution left. HM: How would he stop the oil once he got down there in the…um…yellow submarine? Source: It will be a process. First, he will have direct one-on-one talks with the spill. He will apologize for America’s role in the leak, and then try to reason with it. He may even offer it a job if it will agree to stop running. HM: What about just putting a cap on it? Source: (smiling) Oh, believe me, he plans to cap a lot more than just this oil spill. Never let a good crisis go to waste you know! HM: And he actually thinks he can do this? Source: Well…it will be a team effort. He will need a little help from his friends…ha! Get it? HM: (speaking slowly) The President does know that two of The Beatles are dead right? Source: (shocked) Dear God! That means we have to activate Plan B! Source: (rubbing chin) Well it is still kind of sketchy, but Obama plans to nationalize Brittany Spears. HM: Brittany Spears….what the heck can she do? Source: Nothing – Obama just thinks she’s hot….It’s not really important anyway, in just a few days James Cameron will be taking charge of the entire operation. HM: Interesting…what exactly is Cameron’s plan for stopping the oil? Source: For starters he is going to have Celine Dion write a killer theme song for it. It will be Grammy stuff. Source: Well, he has not finalized the script yet, but it will likely involve Leonardo DiCaprio dangling Spongebob Squarepants over the slick from a helicopter gun ship. Source: Yeah, he is an absorbent little fellow. It should be very dramatic. 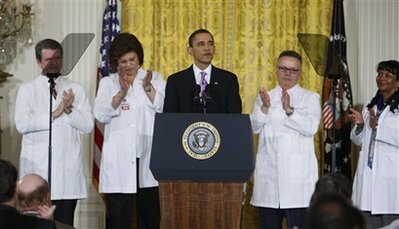 HM: (in amazement) Does the President actually think that this will work? Source: Not really, but it should get Cameron an Oscar nomination. He is still pretty down about Avatar, and needs a pick-me-up. HM: (exhausted) You know, I hate to be rude here, but none of this makes any sense. These are all really wacky ideas. Source: (rolling eyes) You anti-Obama people are always going to find fault with the President’s approach. The fact is, in this moment of crisis, Obama is desperately trying to reach out and unify all Americans around one indisputable fact. HM: Really? What would that be? Source: Brittany really is hot. I mean…you know…wow. HM: (exasperated sigh) You must forgive me, but this is just nonsense. None of these plans will do anything to stop the oil spill! Source: Hey, don’t blame Obama. 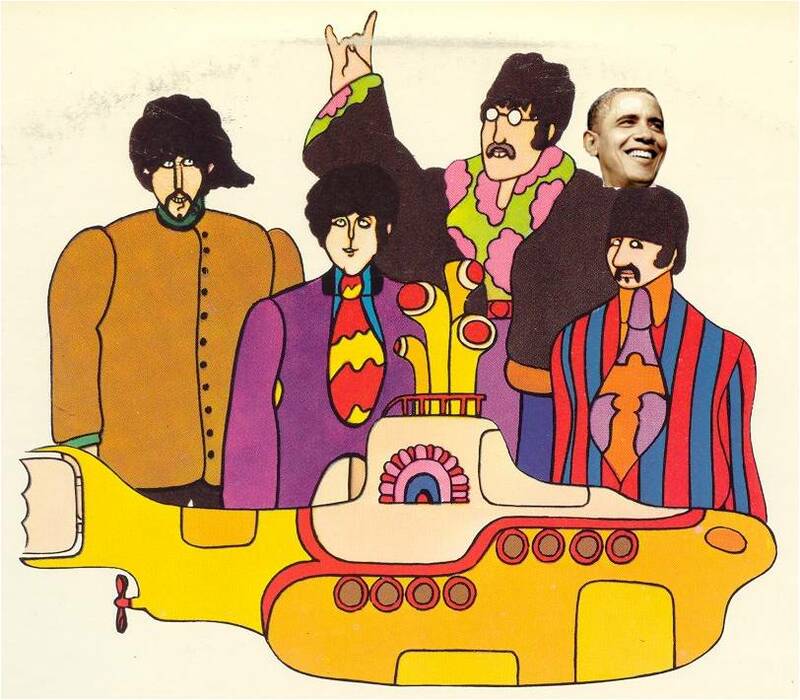 If Bush had not killed the other two Beatles, we would already have their submarine! HM: I’m sorry, this just does not…. Source: Excuse me a moment…..Hello? Oh my God! That is terrible! Get the Admiral on the line…I am on my way. Source: (Hanging up) I’m sorry, but I have to go deal with this crisis right away. Source: No, Obama’s approval rating just dropped another 5 points! We have to do something fast! Hey…you wouldn’t happen to have Lady Gaga’s cell number would you?